Great night had by all at our End of Season Bash in the Air Canada Centre for the Toronto Maple Leafs game on Saturday night. Thanks to MLSE for a great hosting job! Fantastic way to wrap up the season. Thanks to everyone who came along!! Check out our Gallery for photos of the nights. 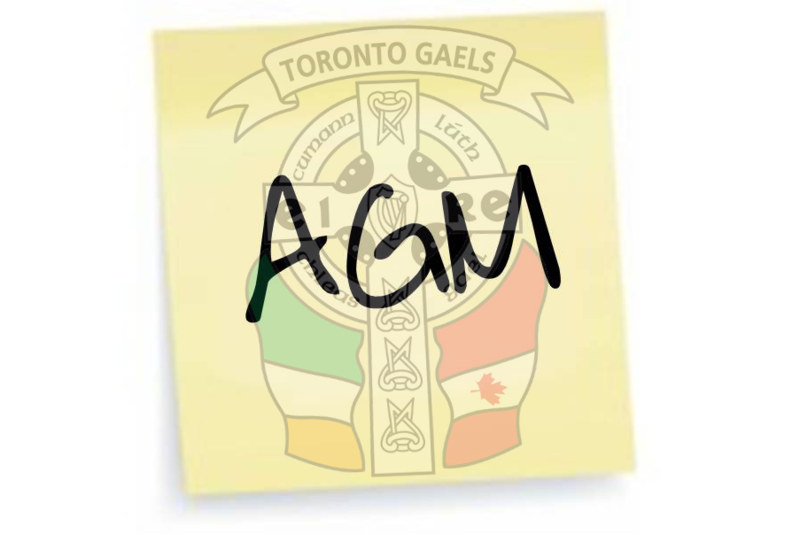 The Toronto Gaels 2017 AGM will take place on Wednesday, November 1st at 7:30pm. It will take place in the event room on the 24th floor. Please forward any motions for discussion to be included on the agenda. Any proposed regulation changes at the Toronto or Canadian Board Levels can be discussed at the club AGM before forwarding for the Toronto GAA AGM (Nov 26, 2017). Kicking off at the Steam Whistle Brewery for Pints and Finger Food before heading to the Air Canada Centre and a private suite for Toronto Maple Leafs vs Philadelphia Flyers game! Thank you to GAA President Aogán Ó Fearghaíl for stopping in to PJ O'Brien's to meet members of Toronto GAA yesterday evening. Toronto Gaels members Shane Watters (Chairman), Sean O'Molloy (Manager), and Gerry Smith were on hand to greet him. A massive thank you to everyone who turned up this past Saturday night to The Galway Arms Irish Pub for our Quiz Night in aid of our injured player!! We really appreciate the support from everyone who attended and made it a great craic night out, from all those who sponsored or donated raffle prizes, and from the donors who couldn't make it on the night! Extra shout out to the Durham Robert Emmets GFC Ladies team who won the quiz, and generously donated their prize back! Visit our Gallery for photos from the night. Join us for a Quiz Night, Saturday July 15th, and help us support our injured player. See poster for full details. Huge congratulations to our Senior and Intermediate lads, on earning the club a League double on Saturday! In the Intermediate game the team came back strong from a half-time deficit to win out against St. Mikes with a final score of 4-19 to 4-12. In the Senior game the boys went into half-time at 2-6 to 0-6 up. They then weathered a comeback from Durham Robert Emmets, going down by a couple of points at one stage, and then the loss of crucial Gaels player Darragh McNamara to an horrific knee injury, about half way through the second half (We wish him a speedy recovery). Ultimately the Gaels responded well to this setback, showing great character to win the game with a final score of 4-9 to 2-9. 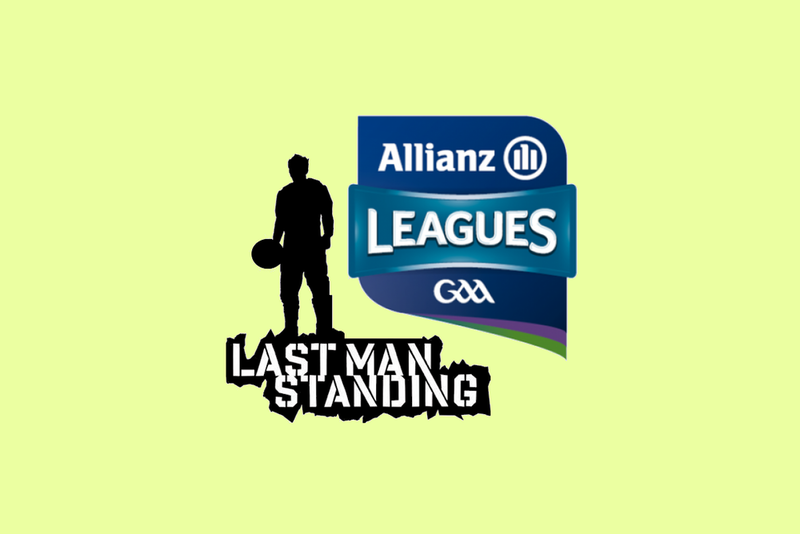 This was the Gaels first Senior League win since 1999, and a great way to start the club's 30th season. See below, or click HERE to download the Toronto GAA finalized fixtures list as of May 30th, 2017. Well done to all the Gaels lads who ventured out to compete in the 2017 Sporting Life 10k race, supporting Camp Ooch for children with cancer, this past Sunday morning. Hopefully there were some personal best times in there for some!! Thank you to everyone who came along and played in our Indoor Tournament on Saturday, April 15th. Some very competitive games played. Congrats to the boys on the Green team (Gaels Home Jersey) on coming out as victors in the end! Definitely a great way to wrap up the indoor training for the year, ahead of the upcoming season. See Gallery, for photos from the day. Race report 2017 - Thank you to all who attended & supported ! Huge thanks to everyone who came along and supported our race night, and made it a resounding success this past Saturday, April 8th. The Galway Arms were fantastic hosts as always. Jimmy Awesome & The High Fives put on a great show at the end of the night. Congrats to all of our Race Winners, Auction Race Winner, and 50/50 prize and Raffle Winners on the night. For photos of the night visit the Gallery. Toronto Gaels are hosting our 4th Annual Race Night on Saturday, April 8th at The Galway Arms, 838 The Queensway, Etobicoke. We invite all club members and friends to join us for what is expected to be a great night's entertainment. First race on the night will be at 6:00pm. Horses can be purchased for $10 each. Horses can be bought online by transferring money to the club with Interac eTransfer to "torontogaels@gmail.com". You must include the information below in the money transfer comments. Feel free to be creative with your horse names! Alternatively, reach out to any of our club members or email torontogaels@gmail.com if you would like to buy a horse. If you are a club member and would like a Race Card to sell horses on behalf of the club you can download it here and print a copy. All Race Cards should be returned to a member of the committee by April 3rd at the latest. Weekly Indoor pre-season conditioning training begins March 27th (Monday) at UofT Athletic Centre at 55 Harbord St. Meet beside the turnstiles in main lobby at 6.45pm sharp. Bring runners and $5. All are welcome. Well done to Gaels players Enda McCaffrey and Gary Donnelly, who were part of the winning Ulster team in this weekend's Toronto GAA 7-a-side Tournament. Thank you from the Toronto Gaels club to everyone on the TGAA committee involved in coordinating jerseys, scheduling games with just under 100 players, taking photos, providing sandwiches and water, and everything else that made this a fun and successful tournament to be a part of! CLUB MEMBERS, CLICK FOR DETAILS. The Toronto Gaels 2016 Season Awards Dinner will take place at the Hot House Cafe, 35 Church St, on Saturday, February 25th from 7:00pm. This is the biggest event in the club's social calendar so a big crowd and a good night is expected. Please email torontogaels@gmail.com or text 647-863-4540 to confirm if you will be attending, and also to advise us if you will be bringing guests. We need to confirm numbers with the restaurant before the night itself so please confirm by February 20th! The Toronto Gaels will be starting Winter training with 15 weeks of indoor football beginning on Jan 7th, 2017. This is part of our Off-Season Indoor Gaelic Football Development Sessions program. Location will be Central Tech Stadium at the intersection of Bathurst St. and Harbord St. beside Bathurst subway station. If you are not currently affiliated with the club and would like to join us for a game please feel free to drop us an email at torontogaels@gmail.com so that we can confirm numbers and availability. See the table below for full schedule.